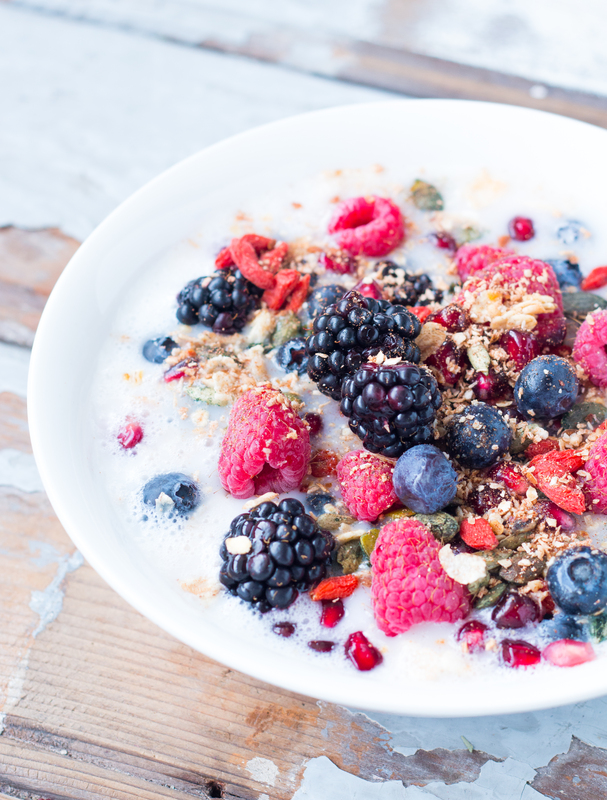 If you’re looking for a tasty breakfast, try Alpro Coconut with your favourite muesli or home made superfoods granola. I prefer to make my own drinks – including almond milk – but sometimes you just want a quick and no hustle breakfast. 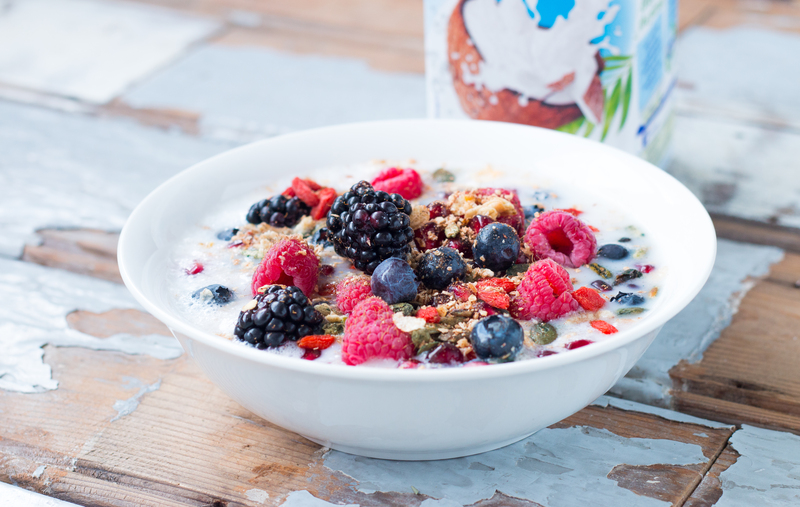 Alpro Coconut is 100% plant-based, doesn’t contain any added sugars, soy or lactose. One portion (200ml) is about 40 calories. The flavour is a lovely mix between coconut milk and coconut water. It’s creamy but not too creamy. It’s not cheap (€2,19 a pack), so if you’re on a budget see this as a breakfast treat ;). 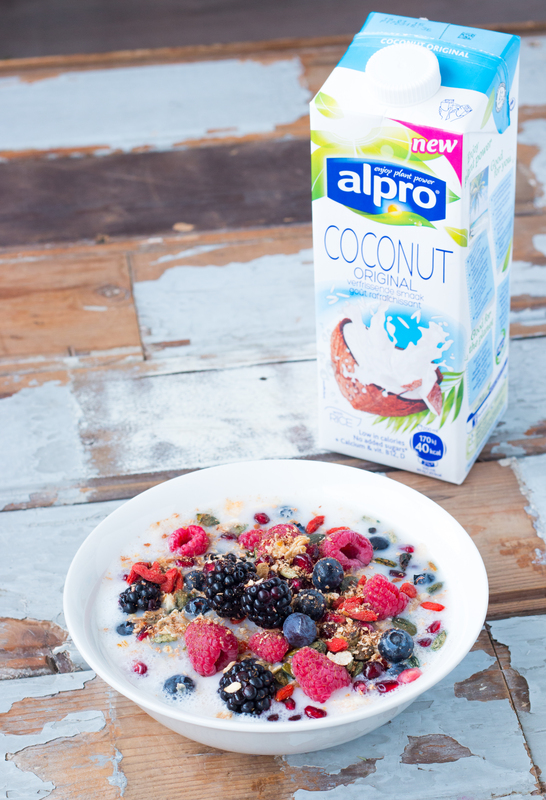 What do you need for a breakfast bowl with Alpro Coconut? Put all of the ingredients in a bowl and enjoy! Looking for more healthy inspiration? Check out my personal Instagram account! Please see below the flavourings in our Alpro Coconut Drink. 1) Natural flavouring in powder form. Suitable for vegans and vegetarians. Contains: flavouring components, tapioca maltodextrin, medium chain triglycerides (from coconut fatty acids) and maize maltodextrin. 2) Flavouring in liquid form. Suitable for vegans and vegetarians.